Last month, officers and directors of San Fernando Valley Audubon Society traveled to the Imperial and Coachella Valleys to attend the Salton Sea Experience, a two-day event sponsored by Audubon California and local organizations, to represent SFVAS, educate themselves regarding key conservation issues facing the Salton Sea, and do some birding. SFVAS was well represented at the event, at which President Rose Leibowitz, Conservation Chair Dave Weeshoff, Recording Secretary Katheryn Barton and Board member at large David Barton all participated. Held during the weekend of December 2nd and 3rd, the Salton Sea Experience featured birding field trips at the Salton Sea Recreational Area and Sonny Bono Salton Sea National Wildlife Refuge. On Saturday, SFVAS participants enjoyed music and a lunch of delicious tamales at a community celebration of “El Salton Sea” at the North Shore Beach and Yacht Club, sponsored by Pinnacle Forum and East Coachella Valley Christian Churches with support from Audubon California. That evening, the SFVAS representatives networked with Audubon California Salton Sea Program Director Frank Ruiz, as well as biologists, pastors, local residents, and leaders of other Southern California Audubon chapters, at an evening reception at the Yacht Club. 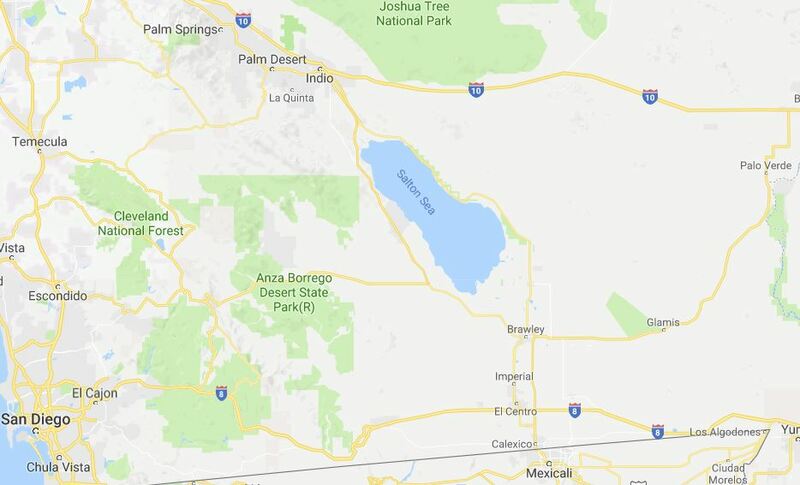 There, they learned about the work Audubon California is doing in the Salton Sea and surrounding communities in the areas of human health and conservation. 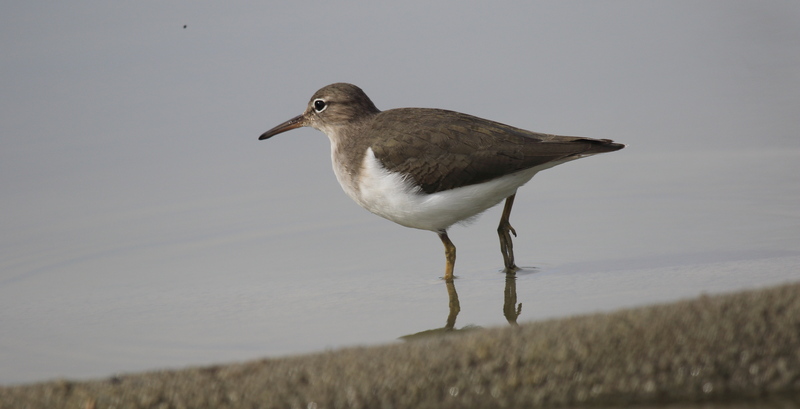 In just the two morning birding trips, an aggregate of over 60 species of birds were recorded at the Salton Sea by Rose, Dave W., and the Bartons, including gulls, ducks, pelicans and shorebirds. Particularly noteworthy sightings included hundreds of White-faced Ibis and Long-billed Curlew feeding in a flooded cultivated field, desert specialties such as Abert’s Towhee, a pair of sleepy-looking Burrowing Owls standing at the entrance to their home, and the unusual presence of two Tundra Swans, seen feeding at a seashore of crushed barnacle shells and fish bones. Over 400 species of birds have been documented at the Salton Sea, a major resting stop in the Pacific Flyway, making this area the host of the most diverse and probably the most significant populations of bird life in the continental United States. Today, however, the Salton Sea is in the midst of transition, as increasing salinity kills off the tilapia, corvina and the other fish on which certain species depend for food while creating an environment favorable to brine shrimp and other insects and invertebrates that may be attractive to different species. In addition, lack of replenishment of water is forcing a rapid shrinkage of the Sea, creating dust from the newly exposed and drying shoreline that is believed to be the principal reason why local communities suffer some of the highest incidences of asthma in the United States. Attendance at the Salton Sea Experience inspired SFVAS leaders with the dreamlike, fragile beauty of the Salton Sea and its astounding diversity of avifauna. It also educated them about Audubon California’s commitment to ensuring the survival of this precious natural resource and to avoiding a looming environmental and public health crisis that could affect up to an estimated 1.5 million people. In the weeks to come, SFVA plans to alert its members to the crucial importance of Senate Bill No. 5. This bill, which would enact the California Drought, Water, Parks, Climate, Coastal Protection and Outdoor Access for All Act of 2018, will, if approved by voters, authorize the issuance of bonds to finance, among other things, up to $200 million for restoration activities and capital outlay projects to air quality and habitat benefits for the Salton Sea. Members of SFVAS desiring more information about the Salton Sea and how to become involved in saving the Sea may visit Audubon California’s website at http://ca.audubon.org/conservation/conservation/important-bird-areas/salton-sea. Members planning a birding trip to the Salton Sea may wish to peruse Audubon California’s new interactive map, which shows the best places to view birds at the Salton Sea, at http://ca.audubon.org/node/26691.